SAVE THE DATE FOR #IAPWO2019!!! Our 5th Annual IAPWO Online Conference, #IAPWO2019, will be held on Wednesday, August 7th, 2019 from 12pm – 3pm EST. 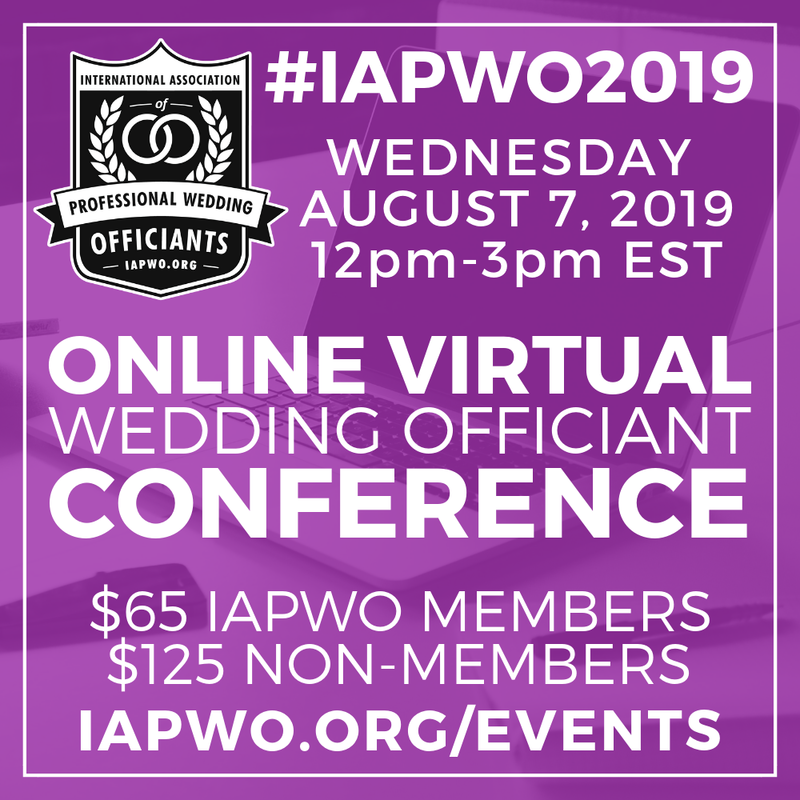 Presenting our fifth annual wedding officiant conference, #IAPWO2019! This online virtual conference features educational presentations by some of the best and brightest in our field, packed with actionable information and tips to help you take your officiant career to new heights. 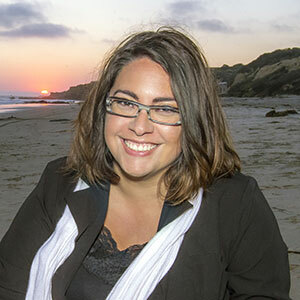 A professional wedding officiant for over 15 years, Laura founded the IAPWO in 2015 with the goal of creating the first professional membership organization dedicated to the promotion and advancement of the wedding officiant profession worldwide. The IAPWO now boasts members on six continents and we are continuing to grow every year. 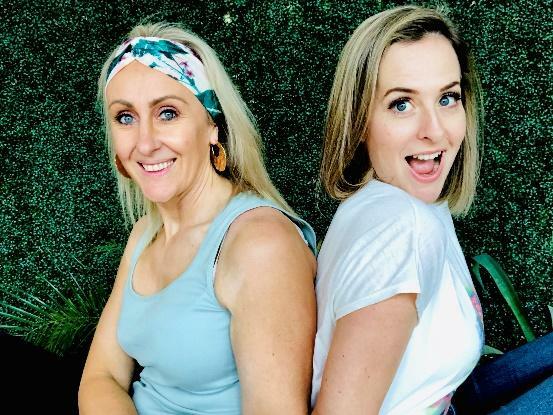 Two Aussie celebrants with one goal: Sarah May Alexander is a former radio host, executive producer, and journalist with a successful celebrancy career under her belt, while Johanna’s background in healthcare education & leadership led her to a Masters Degree in Change Management and a passion for industry improvement. With 17 years of officiant experience between them, together they are working to change the face of Australian & New Zealand celebrancy through their innovative movement, The Celebrant Society. 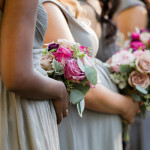 Prioritizing the Ceremony: How Australian Celebrants rose to the top and how you can too! 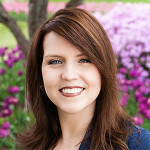 Bethel Nathan is a successful business owner and award-winning officiant, and she knows how to build and run a successful wedding industry business, having married over 900 couples over the past 10 years and building up over 300 5-star reviews. Combining her background in both large Wall Street investment banks and small business, Bethel also enjoys helping other wedding industry businesses grow and prosper as a business coach and industry speaker. Marie Burns Holzer is a business coach, an internationally recognized wedding industry educator, and an award-winning officiant whose mission is to bring joy and awe into your every day. She started her officiant business with less than $100 to her name back in 2011 and has since performed over 850 weddings and earning over 250 5-star reviews. Her experience and knowledge come from life before officiating when she was a freelance social media marketer and copywriter working with both small businesses and recognizable names like The Houston Chronicle, LIVESTRONG, the Georgia Foreign Trade Zone, and Euronext. She has an energetic and engaging presentation style that always provide you with a clear, actionable next step to bring you further in alignment with your values and goals. 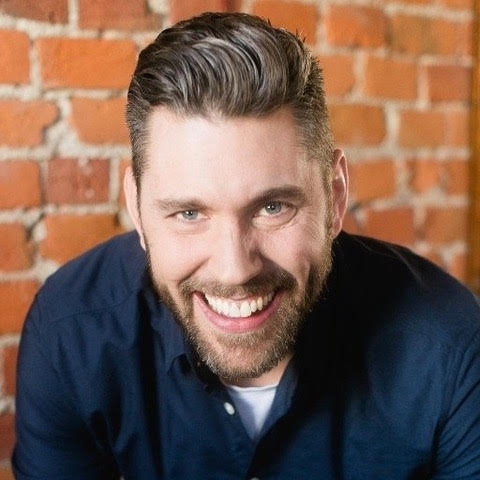 Mark Allan Groleau is a full-time professional wedding officiant, the founder of Unboring!Wedding, and a member of IAPWO. Through his online course Unboring!Officiant, he teaches wedding officiants all over the world how to craft unboring wedding ceremonies centred around the couple’s love story. Mark just moved from Toronto to New Brunswick with his wife and two young kids to enjoy life and officiate weddings by the sea. By purchasing a ticket, you will also have access to replay the entire conference later, so if you can’t participate live on 8/7/2019 then you can still get all of the information and won’t miss a thing. Tickets go on sale on May 30th, 2019 – if you have any questions please contact us at info@iapwo.org. We can’t wait to “see” you on Wednesday, August 7th!